The Los Angeles Business Journal has dubbed us “L.A.’s Most Famous Plumber”, and J.D. Power & Associates have profiled us in their 2006 book, Satisfaction: How Every Great Company Listens to the Voice of the Customer. We serve Los Angeles, Orange, San Bernardino and Ventura counties. Our local service centers utilize state-of-the-art computerized equipment. Our customer service representatives, dispatchers, training specialists and warehouse personnel back our highly-trained technicians. Our fully-stocked trucks include an incredible selection of repair items, tools and emergency equipment so we can provide service 24-hours a day, 7-days a week. We offer the best warranties in the industry on both workmanship and materials. But most importantly, we’re the best-smelling plumbers you’ve ever met. Give us a call today at 1-800-446-6453. Mike Diamond grew up next door to a plumber. By age 14 he was riding along on jobs, doing whatever he could to help out. Over the next five years he watched and listened and learned. By 1976 Mike’s entrepreneurial spirit launched him out on his own. He got a contractor license, acquired some tools in trade, bought a truck and opened for business. He was 19 and working out of his parents’ garage at the time. Those early days were tough but Mike hung on based on positive word of mouth. The kid showed up on time, did good work and he smelled good! Then in 1981 he met a home service industry icon and for the next eight years this individual took Mike under his wing and taught him everything he knew. And the rest, as they say, is history. 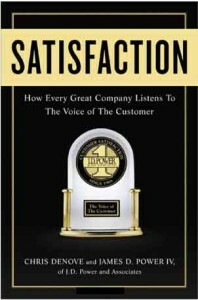 You can’t imagine how thrilled we were when Mike Diamond’s Service company was featured in this great book on customer satisfaction. Mike has spent his whole adult life growing his plumbing business to be one of the largest in Los Angeles and Orange County. Buy the book and you can read how Mike has learned to be the envy of plumbers worldwide.